To support your success as a confident leader, entrepreneur/business owner, I invite you to become a subscriber to receive notice of new blog updates, resources and promotional content. As an added value to ensure you are poised for progressive growth, I will gift you with some of my most useful FREE content! Whether you are starting off with a new website, or already have an online presence, a steady flow of ongoing traffic is essential for sustained business operation. 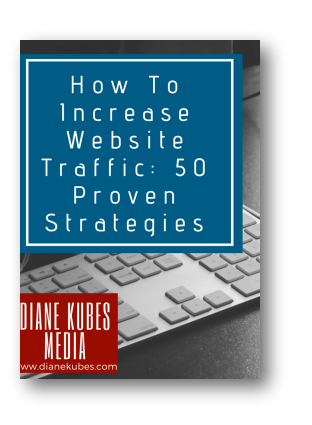 This guide will list out 50 specific strategies that you can begin implementing immediately to increase traffic to your website today! To Your Success! 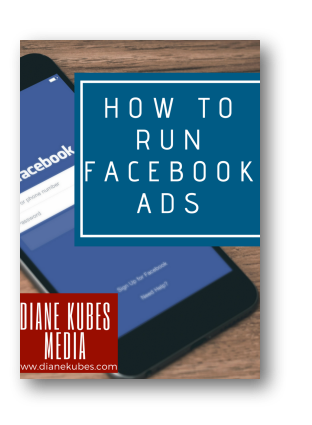 This guide includes screenshots and a step by step format to walk you through placing your ad and includes links to the various business resources on Facebook for quick access to additional information. To Your Success! Social Media is a crucial and cost effective marketing tool that most businesses have now come to rely upon for brand recognition, and reputation. Serving as a tool to establish competency, expert status, social listening, and certainly recurring and increased sales is possible with a tailored and consistent digital marketing strategy! To Your Success! Join our newsletter list to receive updates, marketing and promotional content. I appreciate your trust in me and would enjoy gifting you with 50 Proven Strategies to Increase Website Traffic to support your continued business growth & success! Success! Check your inbox! After confirming your email you will receive a follow up email (check your spam folder and then whitelist Diane Kubes!) You will receive a link to download 50 Proven Strategies to Increase Your Website Traffic within that follow up message. To Your Success! Subscribe to our newsletter mailing list and have access to updates & new promotional and marketing content! Since the beginning of 2018, the game of obtaining organic growth has become more challenging, with changes to Facebook's business policies and algorithm. Running ads can exponentially increase your traffic, and well-tailored, targeted ads can bring your ideal audience. This guide is intended to help you get started! To Your Success! I WANT TO RUN ADS! Success! Check your inbox! After confirming your email you will receive a follow up email (check your spam folder and then whitelist Diane Kubes!) You will receive a link to download your Step by Step Guide on How To Run Facebook Ads within that follow up message. To Your Success! Subscribe to our newsletter for updates, including education, promotions and marketing material content. Social Media is not as simple as posting cute graphics, quotes and jokes. All content you post should begin with a strategy intended to deliver your end goal - likely conversions or to deliver value and foster relationship. 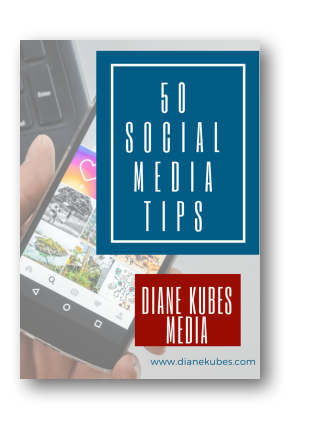 To thank you for trusting me with your valued email address, in addition to keeping you posted on educational, promotional and marketing materials, I am gifting you with 50 Social Media Tips for Businesses to ignite your social media success! YES, I am interested in Social Media insights! Success! Check your inbox! After you confirm your email address you will receive a follow up email with the link to download your 50 Social Media Tips for Businesses. Check your Spam or Junk folder and Whitelist Diane Kubes. To Your Success!